WORRIED ABOUT SPIDERS IN YOUR HOME? Spiders…. not everyone’s favorite insect…. Westside Pest Control Ltd. specializes in structural spider treatments that will keep spiders happy in the garden where they can do all kinds of good, but away from the structure of your home or business. Westside Pest Control’s spider treatments are thorough. We knock down every visible spider web on the structure and treat every corner and crevice on all levels where spiders love to build their nests. Our technicians use a pin stream application tool to reach high-up downspouts and window frames. We also crawl below stair decks to ensure no spider or its web is missed! There are two optimal times of year to treat spiders: Mid-June just before spiders lay their eggs, and early September when spider eggs hatch and webs start to appear everywhere! Do we treat spiders indoors? Yes we do. 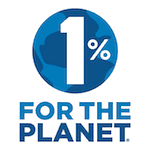 The outdoor portion of the treatment will make the biggest overall difference indoors and out – however, for people who really can’t stand having spiders in the house, an indoor treatment will make a very noticeable difference. Westside Pest Control’s trained and certified technicians take genuine care in every service they provide. Our treatments will make a 90% or better improvement in the number of spiders in and around the structure. Spiders only lay their eggs and hatch once a year, so getting a treatment done is a huge knockdown on the number of spiders you will see for many months to come! Spiders are a nuisance and found in most homes and other structures. Westside pest control’s technicians are trained spider removal professionals. 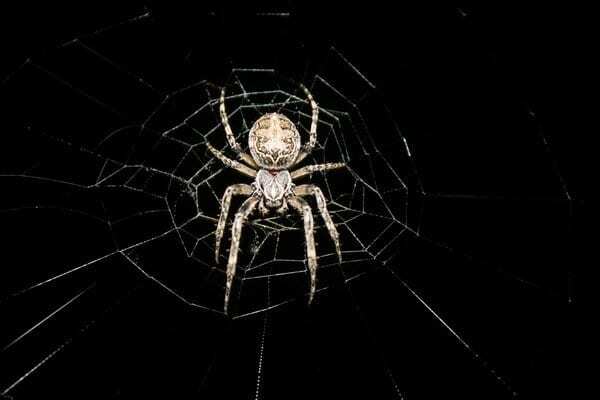 They will locate and eliminate spider webs in their common hiding places. Spiders only lay eggs and hatch once a year, so getting a treatment is a great way to remove the number of spiders in your home. Although anytime from early spring to late fall is a good time to do a treatment for spiders, the optimal time is September, right before spiders lay their eggs. The second most optimal time for a spider control treatment is September. When our technicians visit your home or business to perform a spider treatment, we are always happy to share handy tips with you, to help prevent spiders from entering your home no matter what season. Spiders love humidity and damp conditions, so the next time you peek around your garage or basement, don’t be surprised if you find a variety of spiders getting cozy in your home or business. 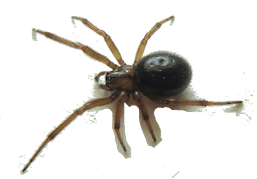 Westside Pest Control can help you identify the common spiders crawling around Metro Vancouver and the surrounding area and provide the best spider control treatment options . Our team of trained technicians are expert spider exterminators and upon identifying the spiders can provide an optimal spider treatment plan that is safe for your family and pets. Also known as the Cross Spider or European Garden Spider, this species is found in both Europe and North America. The Garden Spider is considered to be an orbit-weaver spider, meaning it builds large spiral wheel-shaped webs for hunting prey often found in gardens, fields and forests. You can’t miss this particular spider for its pale spots across its abdomen. Colors range from brown to orange and even black. Females are significantly larger at (15mm) while the male size range is 8mm. 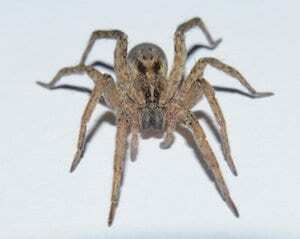 The Hobo Spider is a species that many people find both fascinating and terrifying. These guys were once considered a health issue if biten by one but it has since been confirmed that hobo spiders are not a medical concern. 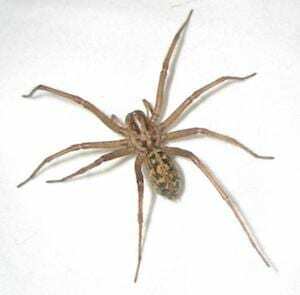 Hobo Spiders enjoy dark, damp spaces and are commonly found in basements, corners, crawl spaces, around windows and under furniture. Hobo Spiders are about 3/8 inches long and are the most common type of comb-footed spider — which also includes the black widow species. You can easily differentiate the male and female, as the males are significantly smaller than the female and have orange legs opposed to the female’s yellow legs. Hobo Spiders are widespread across southern BC and common around the world. These harry brown beasts are known for speed and their unique hunting style. These guys are smart – instead of building webs to catch their prey, they chase them down themselves. 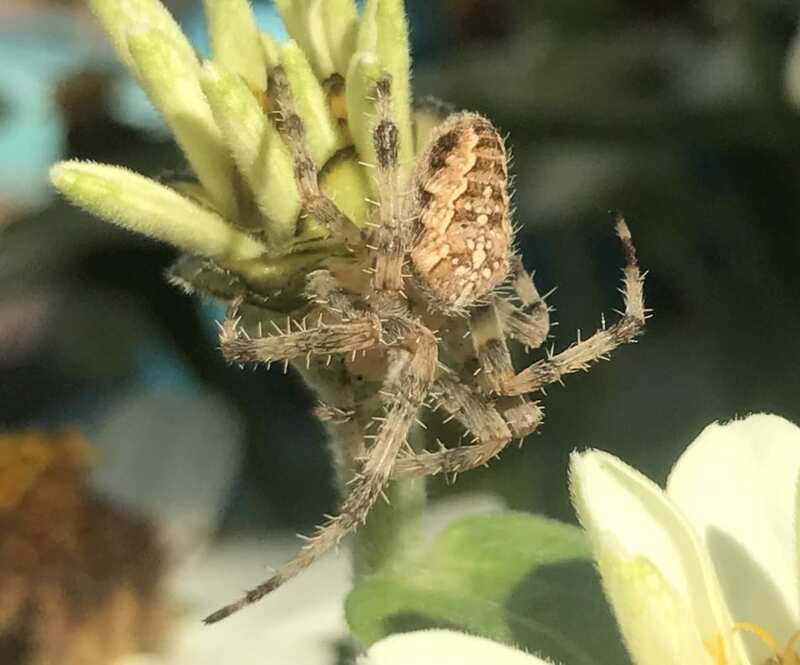 Due to their large size, (about 1 inch in length) Wolf Spiders are able to digest a wide selection of prey, from crickets and ants to other spiders. Wolf spiders rarely bite, as they will only attack if provoked. These guys are nocturnal, spend their time in dark places, and will enter homes in the Fall — seeking a warm place for shelter. If you are bitten by a Wolf Spider, not to worry, their venom is not lethal – however, you should see a doctor as soon as possible – research on the effects of Wolf Spider venom is inconclusive and its bite will cause swelling, itchiness and inflammation. Spider Treatments Can Be Booked Over The Phone. Call Now! Most species of spiders in Vancouver are harmless, but if you’re the type of person who can’t stand these creepy crawlies, then follow our tips to keep these buggers away from your home. During the change in season from summer to autumn is when you’ll find most of your eight-legged friends entering the home. Spiders love a messy home with items to crawl all over and hide behind. Reduce the amount of areas where spiders can hang out by removing clutter. Spiders can easily navigate into an opening in a window, or underneath a door. Make sure to seal these entrance points. Spiders love under-bed storage, boxes, and piles of old paper and magazines. Seal up your storage items into plastic containers to limit the amount of spaces a spider can crawl into. Spiders don’t like vinegar. Create a 50-50 solution of water and vinegar, as well as 15 to 20 drops of peppermint and essential oil then spray walls, windowsills and entrance ways. Spiders love bushy gardens with leafy coverage. Cut your grass regularly and rake up those loose leaves to stop them settling. Make sure to dust any webs when you see them. They might get the hint they’re not wanted! Spiders are repelled by strong scents like peppermint oil as well as many other common fragrances. A great remedy is add 15 to 20 drops of the essential oil to a spray bottle filled with water and spray around the house. You can also try lavender, cinnamon, rose, and tea-tree oils as a way to keep the creepy crawlies away. 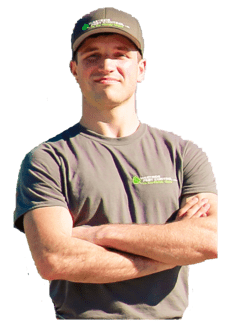 Westside Pest Control Ltd. specializes in structural spider treatments that will keep spiders happy in the garden where they can do all kinds of good, but away from the structure of your home or business. Spiders do lots to good at keeping other insects at bay. For many people, however, spiders are too much to handle in and around the home. Westside Pest Control specializes in treatments that are effective and targeted at spiders but are safe for your family and pets. Westside Pest Control technicians are trained to provide safe Spider Treatments for all occupants. For outdoor spider treatments only, you can remain in the house during treatment. We recommend that you keep windows and doors shut and pets inside, until the technician has completed spraying and for 30 minutes thereafter. For indoor treatments, the required vacate time is 6 hours for all people and pets. We do recommend (however not required) that expectant mothers, children under 2, cats, birds, and reptiles remain out for 24 hours. Fish should have the tank filter switched off for at least 6 hours. Your safety is number 1 concern. Found within southern Canada, the US and Mexico, the Western Black Widow spider is widely feared. Identified by a red hour-glass shaped marking on its abdomen, these guys prefer a warm dry habitat. Western Black Widows are commonly found outdoors and if you are an avid hiker, you may spot one of their tangled webs, about 30 cm off the ground. Despite what most people think, Black Widows are actually quite shy — despite their poisonous, neurotoxin venom, they will not aggressively attack humans unless provoked – Western Black Widows would much rather flee and reserve their venom for prey. A Black Widow bite can cause severe pain. If you are bitten, it is extremely important to seek medical help immediately. 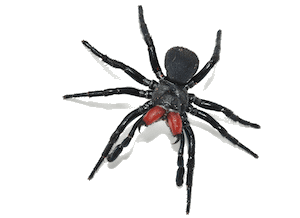 Originally from southern Europe, False Black Widows prefer the warmth of a dark corner indoors or in a backyard or garden shed. Misjudged as aggressive, False Black Widows in actuality are uninterested in biting humans, unless provoked. Similar to the Western Black Widow, these guys prefer to run away and reserve their venom. If either Black Widow feels cornered (like being pressed into a small space) they will bite. You can recognize a False Black Widow for its brownish-purple or black color, pale markings and shiny abdomen. False black widows produce symptoms that are similar to but much less severe than those of a true black widow bite. Suspect a Spider infestation in your home or business?